Posted with my iPhone, using the WordPress app, so excuse any funkiness. 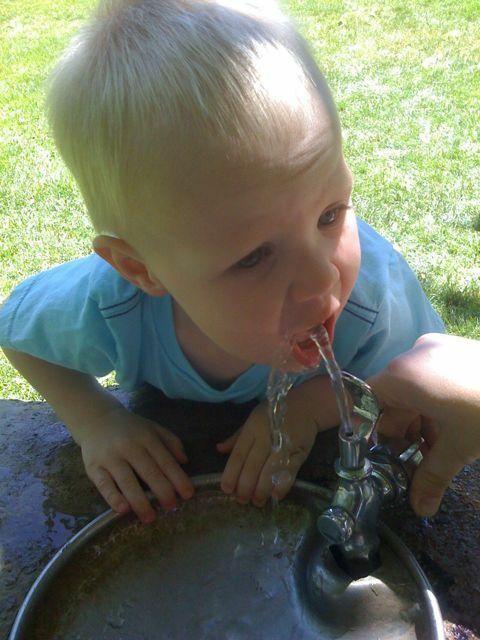 This is James at Timberlane Park on Memorial Day, puzzling out the mysteries of the water fountain. No obvious funkiness, other than the odd yellow tinge he’s taken on. Well, it was also TAKEN by the iPhone, which explains that, too.